Since it is now June and therefore halfway through the year, I thought it would be a great time to do an overview of the goals I set for myself at the beginning of the year. These are the goals I set for myself at the beginning of this year. I would like to talk about how I’m doing with them. First, “run at least 1000 miles.” So far this year, I have run 565.57 miles, so I’m well on my way to reaching and exceeding this goal. However, that's really only an average of 87 miles per month, which if I continue at that rate, I will run approximately 1044 miles this year. Good thing I've got marathon training on the horizon to help me make for sure that I will hit my goal, because really, this is a goal I was hoping to greatly exceed. Second, “continue with the 100 miles a month challenge.” Well, I have consistently run a minimum of 100 miles every month this year. I may not make it this month, however, because a) they changed the design of the buckle and I do not like it at all so I’m not going to pay $40 for something I don’t like the way it looks, b) I start marathon training middle of next month so I figure I should take it easy this month, and c) I’ve been fighting off the whole urge to take a break from running for a couple months now. So, I’m just going to run what I feel like running on days I feel like running and see how it turns out. I did write up a rough schedule for the month but haven’t been following it at all, haha. Third, “get back down to my goal weight.” Uh…yea. This one is not going well at all. I am only about 6 lbs less than I was at the beginning of the year. I’ll get there, though. I’m not going to give up. I still want to be down to my goal weight by the end of this year. I know I can do it, I just need to get a handle on my eating and work hard to develop a healthy relationship with food. Fourth, “run 2 more marathons by March 14th so I can earn Marathon Maniacs membership.” Nailed it! I ran the Austin Marathon and the Army Marathon and got my MM status! 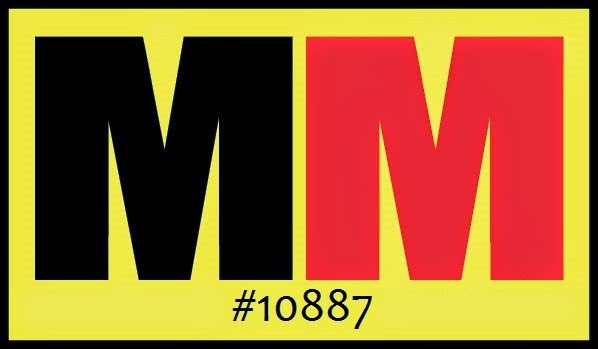 MM#10887 in the house! Fifth, “run 3 half marathons within a 90 period and earn Half Fanatics membership.” Nailed this one as well. 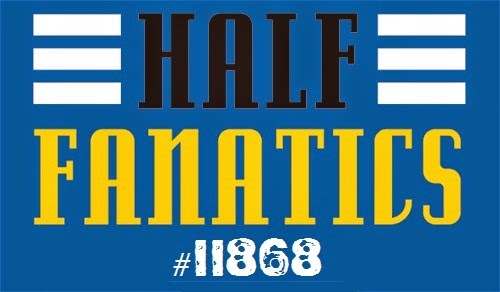 So, I am proudly Half Fanatic #11868!!! This qualified me for the Double Agent membership as well! WOOHOO! And lastly, “complete a sprint triathlon.” I think this one is not going to happen. I have not done any swim training at all. I haven’t been on my bicycle in well over a year. And I haven’t even looking for one to sign up for. I had listed it as a “maybe” anyway, knowing that there was a good chance it wouldn’t happen. So, I’m not bent out of shape that this one isn’t going to happen. I just figured I’d toss it in there and see what happened. • start riding my bike more often…well, really, at all since I haven’t rode it in over a year and a half…HA! I think this is a good list of updated goals. I’m already within 45 seconds of the 5K goal and 51 seconds of the 10K goal. Hopefully next month I’ll be within 5 minutes of my half marathon goal. The possibility of buying a rowing machine is due to the physical readiness testing they are now doing at my job every year. We were previously doing an obstacle course every year, but starting this year, we have to row 2000 meters as fast as we can. If we can hit 90% of our calculated VO2max, then we get 8 hours paid time off. If we can hit 95% or higher, we get 16 hours of paid time off. On top of being able to use the rowing machine whenever I want, and especially when I literally don't have more than 10 minutes for a workout, it will be excellent cross training and will help me improve as a runner. It will be later this year, like October-ish, before I will be able to afford to buy one, but I've put it on my "want" list.